March 2012 - Something New Everyday! The world's first nutritionally balanced pizza was launched to trade this week at the Food & Drink Expo 2012 in Birmingham, where it won the Best New Idea award at the UK's largest F&D trade show. Using the best ingredients and taking guidance from international nutrition expert Professor Mike Lean from the University of Glasgow, Eat Balanced have created the award winning product that mirrors the official UK guideline daily amounts for adults. Essentially, each pizza is a nutritionally balanced full meal. But perhaps more importantly they have developed a range of pizzas that are as tasty as they are convenient. They're just like any other pizza – except they taste amazing and they will do you good. Clearly, these are a very long way from the "junk food" image of most other pizzas. 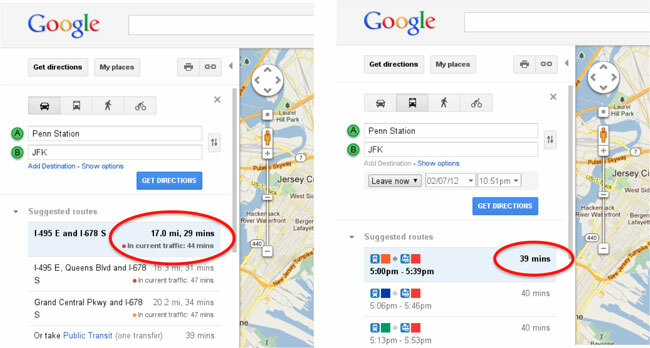 To improve the accuracy of its directions and timing within its Google Maps service. Google has this week launched a new a new update that uses both live and historic traffic data to provide you with a more realistic time for your driving time estimations. Google's new traffic feature evaluates current traffic conditions and is constantly being refreshed to provide you with the most accurate, up-to-date estimate possible. "Imagine life as a game in which you are juggling some five balls in the air. Name them -Work, Family, Health, Friends & Spirit. they will be irrevocably scuffed, marked, nicked, damaged or even shattered. They will never be the same. You must understand that and strive for it." Now you can carry the cinema in your hand. Samsung has announced an upgrade to its Galaxy Beam - a new phone that would simply be able to stream your favoutire move or a game through an in built projector.